Of course there are lots of topiary gardens elsewhere in the world besides the other countries mentioned in the menu of this site and this page aims to highlight some of the more spectacular. You could do worse than start by trying the Alhambra Palace in Granada, Spain if you wanted to go straight to the top. 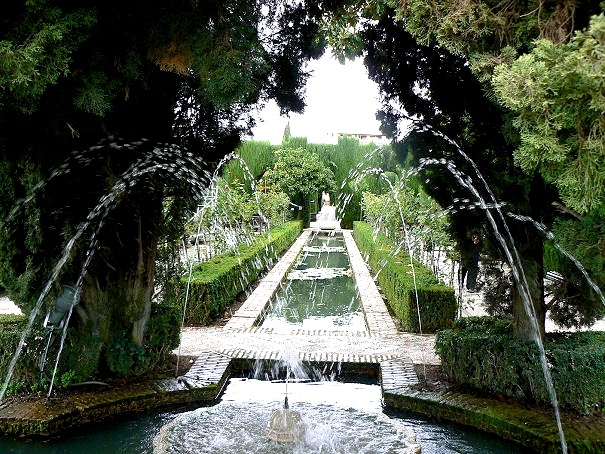 Generalife Gardens, Alhambra Palace, Granada, Spain.